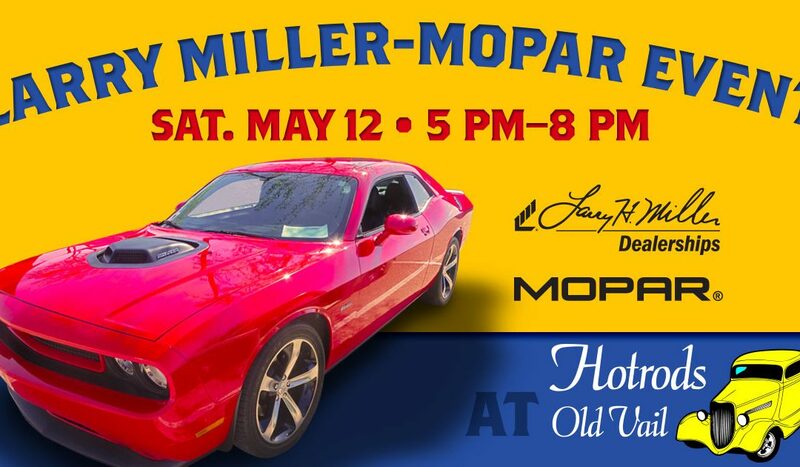 Bring the entire family to Hot Rods Old Vail on Saturday, May 12, 5PM to 8 PM, for the Larry H. Miller Mopar Car Show featuring modern and classic Mopars. Free entry for participants with trophies awarded at 8PM. 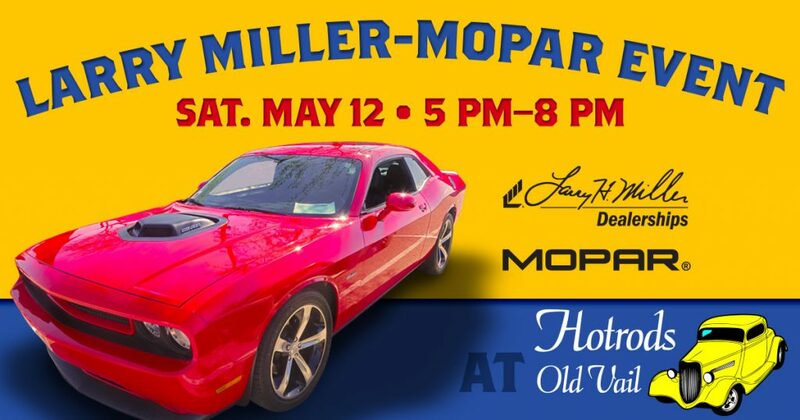 Drink and BBQ grilled food specials will be available.